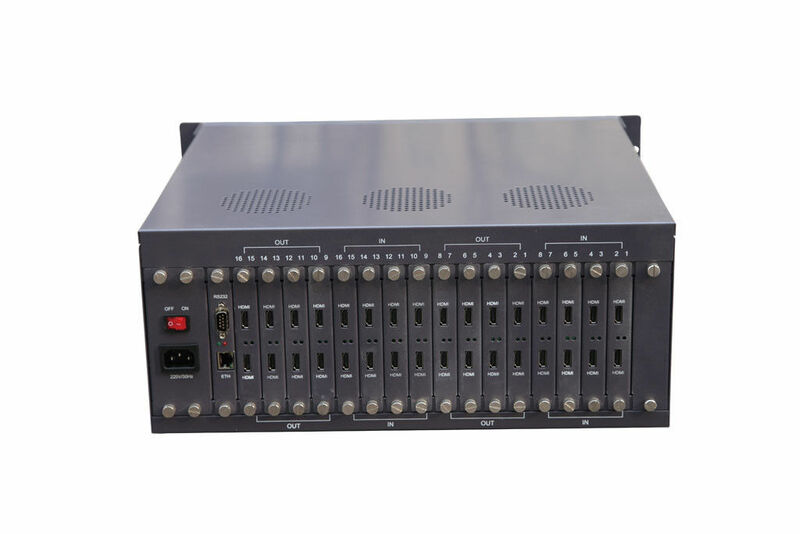 16×16 HDMI matrix switcher supports 16 input and 16 output, this matrix supports HDMI 1.3, HDCP, and DVI 1.0 protocol. Support for 12-bit color depth all HDTV resolutions including 1080p/60, and PC resolution up to 1920 * 1200. Automatically equalized, and the HDMI cable to the long distance to be compensated, to reduce the required number of additional input signal processing apparatus supports the input of up to 35 meters long term. This matrix can be excellent HDMI video and multi-channel digital audio signals transmitted by HDMI cable to the display device. ♦ Allows any HDMI display to view any source at any time. ♦ HDMI or DVI to HDMI cables are used to connect the inputs and the matrix output. ♦ Each display's inputs can be switched with the IR remote control or through RS232. ♦ Supports highest video resolution 1080p. ♦ Supports 225MHz/2.25Gbps per channel (6.75Gbps all channel) bandwidth. ♦ Supports 12bit per channel (36bit all channel) deep color. ♦ Supports uncompressed audio such as LPCM. ♦ Supports compressed audio such as DTS Digital, Dolby Digital(including DTS-HD and Dolby True HD). Support 3D all format, including 1080p@23.98/24Hz, 720p@59.94/60Hz/50Hz, bandwidth up to 225MHz. 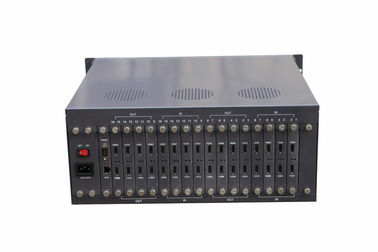 FL-HM-1616: HDMI Matrix Switcher supports 16 input and 16 output with compatibility with DVI.